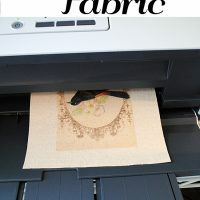 Todays Crafty Project is are some fun Printable antique Bookmarks! 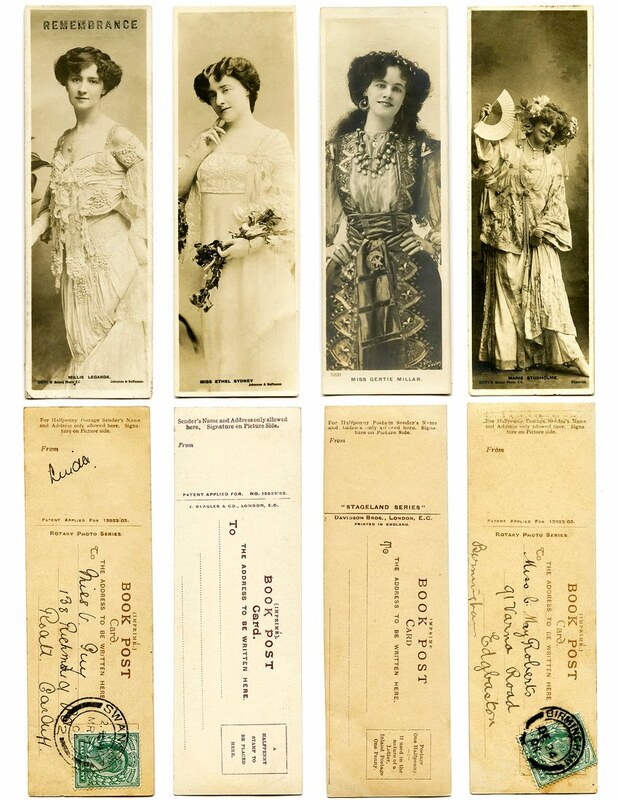 These are actually old postcards featuring early Actresses, that doubled as bookmarks. How Fun! These were super easy to make! I know I always say that, but that’s because I like easy projects, so I usually only make easy projects. I’m lazy like that! Anyway, I just printed these out on cardstock, and cut them out. Then I cut some long pieces of creamy grosgrain ribbon. I trimmed a “V” into the top of the ribbon to give it a more polished look. Then I hot glued on some creamy tassels. 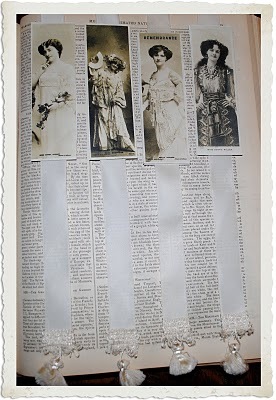 These were actually from some braided tassel trim that I had, if you look closely you can see the trim. 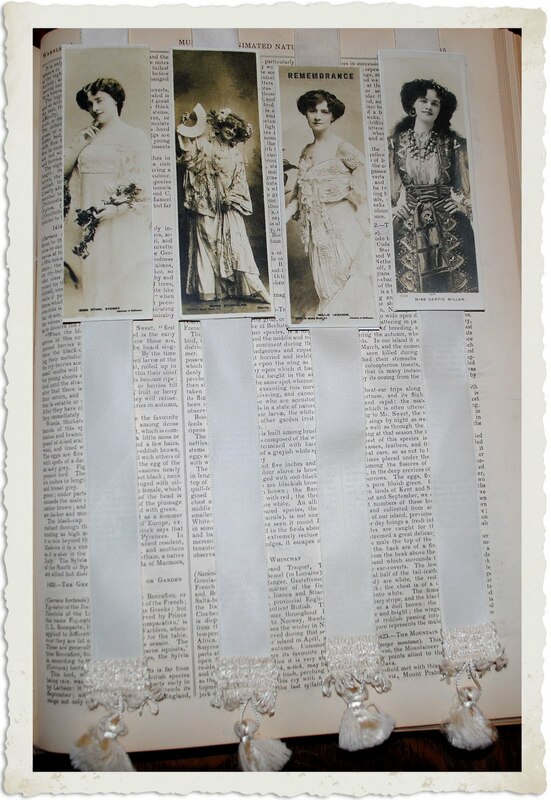 Then I just glued the two sides of the postcards (front and back) to the ribbon. (The ribbon is sandwiched between the two pieces of printed cardstock.) That’s about it! 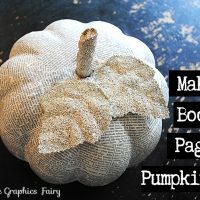 I was really tempted to add some glitter, but I figured it would end up all over my books so … I restrained myself this time! Great idea as always Karen. Thanks! Thank you…thank you ….I just love these! These are so great…thank you! Lovely postcards, beautiful bookmarks, thanks for sharing! I love Book Marks! These are so interesting! Thanks! These are precious!!!! Thank you so much for the idea!!! I’d love to have some on hand to put in packages…. I hope you’ll see my new online magazine on Monday! I’m actually linking it up to Brag Monday. Thank you everyone! I hope you will have fun with these! Cindy, that sounds so cool!!! I will check it out! These are so cute Karen! This looks like it might just too much fun;)..These ladies are beauties. I’m so sorry that I didn’t see the Webbie award stuff in time! I would have nominated you! Please tell me that someone took care of you! And, thank you so much for these bookmarks! 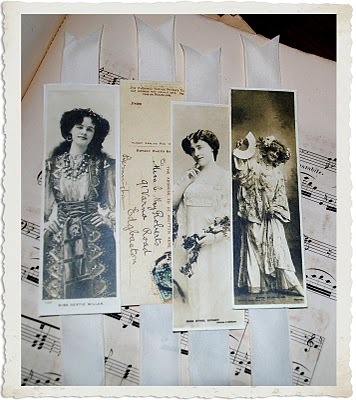 I love vintage postcards, so these are a wonderful addition to the possible creations! The ladies are beautiful. The added bonus of cutting a v-shape in the ribbon is it helps deter fraying, though you probably already knew that. Lovely !! Thanks so much for sharing ! Oh, I just LOVE these! Thank you so much! What a cool project! Thanks so much for putting this together and sharing it with us. I can’t wait to put them together. These are fabulous! Thank you so much for the project idea. These are wonderful! Thank you!!! This is a great project! 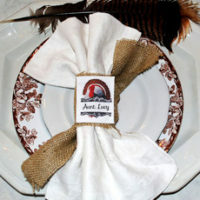 I’m going to use it for for a friends birthday lunch favors. Thank you! This project is awesome! As I said before, your projects are easy to follow and so classy! You are such a generous soul to share so much for free! Thanks for all the inspiration!! 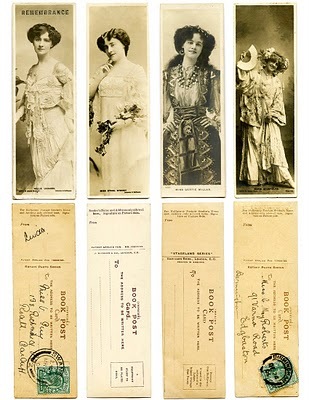 I love these bookmarks. Most of all I want to thank you for sharing all your ideas and art work with us! Thank you! All your readers are so right, you are so generous and talented. We can never thank you enough for what you do for all of us. I can hardly wait to make those book marks. Maybe I’ll finally get my Xyron 510 out and use it to put them together. Haven’t used it, not sure how to. Always worried I”ll do something to mess it up.